- What is superannuation and why is it so important? - Are you contributing enough to superannuation? - Are you maximising the tax advantages of superannuation? - What is self managed superannuation and is it appropriate for you? - What are the different styles of investment and what's appropriate for you? - Is it better for you to hold direct investments or to invest through a managed fund? - Investing outside superannuation - priorities and pitfalls. - Are you and your family protected from financial disaster? - Have you planned for the financial outcome if you die, if you're disabled or if you can't work? - How can life, disablement, trauma and income protection help protect you from financial disaster? - Do you have these covers in place? If so, do you have enough cover in place? - Are you obtaining all of the permitted tax deductions from personal insurance cover? - Are you aware that you can use superannuation to hold some insurances for tax and cost effectiveness? - If you own a business do you have key-person and business protection cover? - Are you on track for financial security in retirement? - Are you maximising your entitlement for government support? - Does your estate plan reflect your current personal circumstances? - Have you got powers of attorney in place? - Have you made adequate provision for your loved ones and other beneficiaries? - Have you considered the tax implications of your estate plan? - Is a testamentary trust relevant to you? - Is it in your best interests to sell your house before entering aged care? - Can a loved one remain in your home if you need to enter care? - How can you manage aged care fees while maintaining your entitlement to government support? Your initial consultation is free of charge and enables you to obtain information about us and our services. After the first meeting, and with knowledge of your needs and goals, we will propose a course of action and fee structure for your consideration. No fees will be levied without your prior approval. Further detail on our fees can be found in our Financial Services Guide. 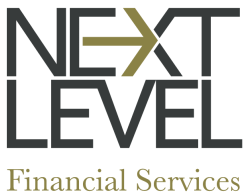 Download the Financial Services Guide (FSG) ﻿​​here﻿.